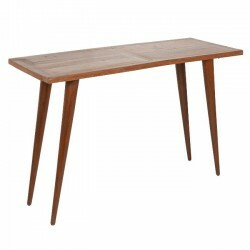 The Brooklyn Reclaimed Wood Console Table is a bold, multi-material dining table that combines the b.. This mirrored console reflects exquisite taste in furnishings. Mirror inlays adorning the top, front..